One thing that our Atlanta car accident attorneys see with unfortunate regularity is victims of an accident doing something in the immediate aftermath of a wreck that affects their ability to successfully pursue justice and compensation. To be sure, this is completely understandable. A car accident is a devastating, traumatic event, and if you're dealing with an injury, it can be difficult to keep your head and think long term. We get it. But the reality of the legal system is that the steps you take after your accident are quite important. These decisions can play a decisive role in determining the success of any future legal action you might take. So what you do after a car accident matters – a lot. 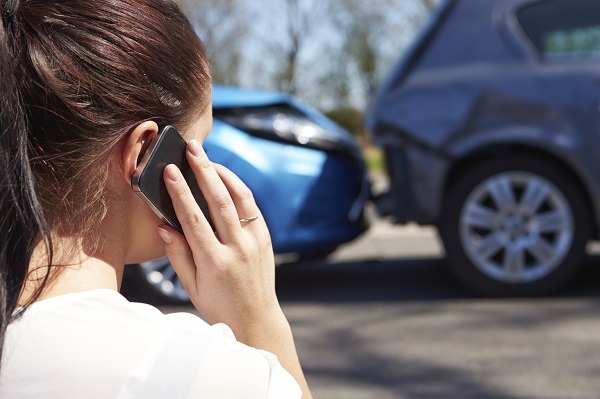 That might sound dramatic, but it isn't – by taking the right steps after a car accident, you can go a long way toward protecting your legal rights and keeping your options open. Call the police: This might sound like an overreaction in the case of a minor accident, but it's not. Err on the side of caution. Call the police, talk to them, make sure a report is taken. This will begin the process of generating information and creating paperwork, which is crucial to any future legal action. Exchange insurance information: After calling the police, talk to the other driver and exchange insurance information. Get their contact information and write it all down. Stay calm and polite. Don't get angry or confrontational. Keep things business-like. Take photographs: You don't have to snap pictures like a professional photographer, but you should take a lot of photos of the scene of the accident. The camera on your cell phone is fine – just make sure the photos are in focus. Capture the vehicles involved and any environmental damage. The more photos the better. Seek medical help: Again, this isn't an overreaction. Many people feel fine after an accident and then develop medical problems down the road. After your accident, go to the hospital or to your doctor. Get checked out. Undergo an examination. It's the right thing to do for your health and for your legal options. Document everything: Paperwork is annoying, but when it comes to the law, there's really no substitute for certified, dated documentation. So get copies of everything. Ask for a copy of the police report. Get copies of any medical records generated after your accident. Make copies of any insurance paperwork. And make sure you keep these documents accessible at all times. Arrange a consultation with our car accident attorneys: Finally, you should call our office or reach out to us online. Arrange a consultation with our lawyers. This step is necessary if you end up pursuing legal action. And it's a no-lose situation for you – this consultation is completely free and comes with no obligation. Finally, it's important to move quickly. Physical evidence degrades with time. The memories of eyewitnesses fade. Don't hesitate, don't delay – contact our firm as soon as possible so we can begin investigating your accident and pursuing your case. If you need an experienced car accident attorney in or around Atlanta, Georgia, please call the Williams & Williams Law Firm today at 770-823-2711 for a free consultation.